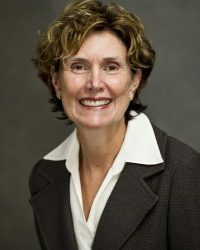 Patricia Campbell, Executive Vice President, is responsible for finance, budgeting, treasury functions, human resources, construction, buildings and grounds, academic and administrative computer services, internal auditing, real estate, and risk management. Patricia returned to Tufts after serving as Vice President for Finance and Administration at WGBH, Boston’s public broadcaster, for 3 years. At WGBH, she managed the construction and relocation to new studios in Brighton. Patricia formerly served for eight years as the Executive Associate Dean at the School of Dental Medicine, where she introduced a new IT system, established new financial controls, initiated a strategic planning process, and reorganized the dental clinic operations. Prior to Tufts, she served as the Deputy Commissioner for Administration and Finance at the New York State Office of Mental Health where she oversaw a budget well in excess of $1B. Ms. Campbell holds a B.A. and an M.L.S. from SUNY Albany and an M.P.H. from Tufts University.